Johannes Müller is professor for Prehistoric Archaeology and director of the institute in Kiel. He studied in Freiburg and Edinburgh, and obtained his Master’s degree and doctorate in Freiburg. After completing a DAI-travel grant he was academic assistant at the FU in Berlin, where he obtained his habilitation, whereupon he held teaching positions in both Freiburg and Cologne. In 2000, Johannes Müller was appointed professor for Pre- and Protohistoric Archaeology in Bamberg and later became head of Bamberg’s Institute for Archaeologie and Heritage Studies. 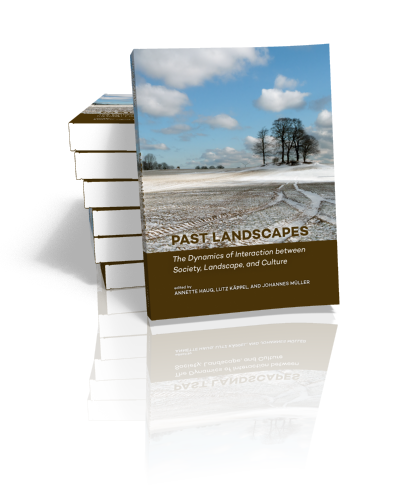 Core research topics: Socialarchaeology; Settlement Archaeology; Landscape Archaeology. Johannes Müller is initiator and spokesman of the Graduate School ‘Human Development in Landscapes’ (DFG-Initiative of Excellence) and coordinator of the DFG’s Priority Program ‘Early Monumentality and Social Differentiation’. 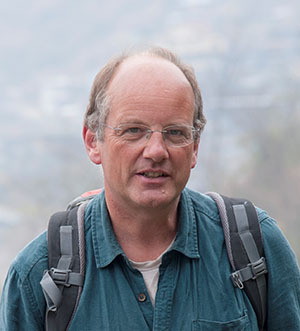 He is speaker of the DFG Collaborative Research Center ‘Scales of Transformation: Human-Environment Interaction of Prehistoric and Archaic Societies’ (CRC 1266) and since 2018 also of the Cluster of Excellence ‘ROOTS – Social, Environmental, and Cultural Connectivity’ at Kiel University. Field research was and is being conducted in Germany, Poland, Bosnia-Hercegovina, Ukraine and Moldavia. Excavation projects range from megalithic tombs, Neolithic and Bronze Age settlements to Eastern European settlement mounds and Nordpontic Chalcolithic mega-sites. Ethnoarchaeological reserach was conducted on Sumba, Nagaland and the South Ethopia. Müller, J., Arponen, V.P.J., Hofmann, R., Ohlrau, R., 2017. The Appearance of Social Inequalitities: Cases of Neolithic and Chalcolithic Societies, Origini 38 2015-2, 65-86. Müller, J., 2017. Rebellion and Inequality: Hierarchy and Balance, in: Hansen, S., Müller, J. (Eds. 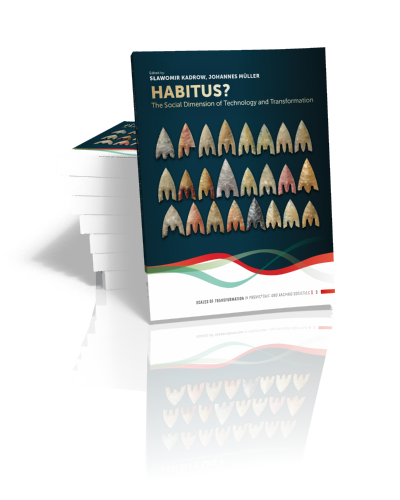 ), Rebellion and Inequality in Archaeology, Habelt, Bonn, pp. 23-32. Müller, J., Rassmann, K., Videiko, M., 2016. Trypillia Mega-Sites and European Prehistory: 4100- 3400 BCE, Themes in Contemporary Archaeology, Routledge, London. Müller, J., Peterson, R., 2015. Ceramics and Society in Northern Europe, in: Fowler, C., Harding, J., Hofmann, D. (Eds. ), The Oxford Handbook of Neolithic Europe, University Press, Oxford. Müller, J., Hinz, M., Ullrich, M., 2015. Bell Beakers – Chronology, Innovation and Memory. A Multivariate Approach, in: Martinez, M.P.P., Salanova, L. (Eds. ), The Bell Beaker Transition in Europe, Oxbow, Oxford, pp. 57–68. Müller, J., 2015. 8 Million Neolithic Europeans. Social Demography and Social Archaeology on the Scope of Change – from the Near East to Scandinavia, in: Kristiansen, K., Smejda, L., Turek, J. (Eds. ), Paradigm Change, Oxbow, Oxford, pp. 200–214. Müller, J., 2015. Movement of plants, animals, ideas and people. Southeast-European Neolithic and Chalcolithic, in: Fowler, C., Harding, J., Hofmann, D. (Eds. ), The Oxford Handbook of Neolithic Europe, Oxford University Press, Oxford, pp. 63–80. Müller, J., 2014. 4100–2700 B.C. Monuments and Ideologies in the Neolithic Landscape, in: Osborne, J.F. (Ed. ), Approaching Monumentality in Archaeology, New York University Press, New York, pp. 181–217.